The Cardiosport GT5 digital heart rate monitor is packed full of features that make it ideal for competitive athletes, personal trainers, coaches and Sports Science researches. The graphical display provides visual indication of how hard the heart is working during exercise compared to the active heart zone. The GT5 features one of the most extensive heart rate recording memories of any heart rate monitor available. It provides up to 80 hours of recording available in 6 separate training sessions with individually stable recording intervals. The heart rate monitor features a safe, low frequency, digital transmission system with coding that allow you to exercise in close proximity to other monitors. 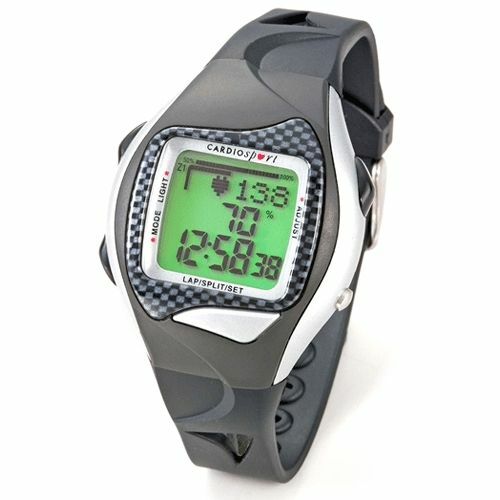 for submitting product review about Cardiosport GT5 Heart Rate Monitor.